Oh – My – Goodness – Oh – My – Goodness – Oh – My – Goodness – Oh – My – Goodness! My poor insides and my head, but really my poor insides. Why did I do it, why didn’t I think more before going ahead with this? When will it stop? Will it ever stop?!! My sidekick told me that we’d been invited to the Paramus NJ Tesla Store and Service Centre opening on 11th December and asked should we go? Hmm, it’s a Thursday evening and nothing else is going on so why not? 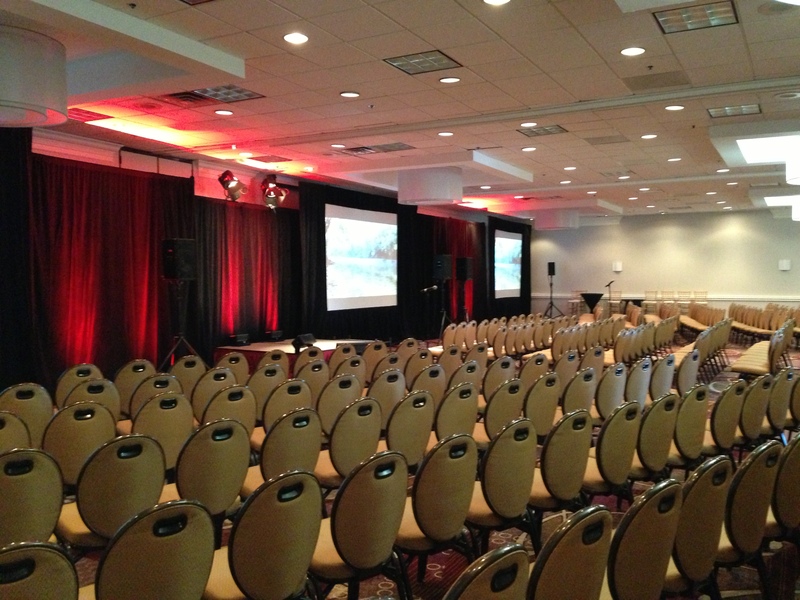 The Tesla events are usually good and we get to meet other Tesla owners (some we already know and some new ones) and also Tesla employees that we have come to know over the years. The new showroom (gallery – I think that is what we call them now in NJ) was what I expected from Tesla, all clean and shiny and with a rather nice looking couple of ’S’s’ placed just so. 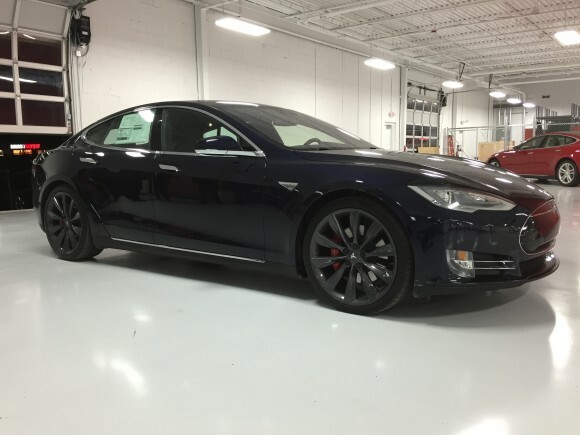 The red really does look good for a Model S. Hmm could it be better than silver? We chatted with some fellow Tesla enthusiasts for a little while, but then – and this is so important – we got the offer of going out for a test drive in the new P85D – so exciting. 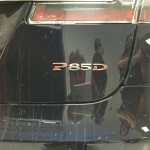 The P85D is the latest version of Model S now available. It has dual motors and is 4 wheel drive. It weighs in at about 200lbs more than the regular Model S and you lose a small amount of range with the D, but who cares? I would still have 250+ miles of range – yet to be confirmed with the EPA. The P85D has 691hp, 221 at the front and 470 in the rear. From a non- technical person – I think this is all good. It does 0 – 60 in 3.2 seconds, much faster than I could ever need or want. It has a top speed of 155mph, more than fast enough for me, who can barley make it to 65 on the motorway!! The Model S P85D looks like a regular S to begin with. Opening the door and getting in the passenger seat was like returning to your favourite chair, it’s just right. Everything feels right and you know it’s where you belong… Again! Seat belts on everyone – check! Car turned on – check! Into reverse – check! Then let’s proceed. We headed out of the car park towards the open road, I was so not looking forward to the next bit! As we got closer to the main road I pressed my head back into the seat and tensed up knowing what was about to happen… And… Oh My Goodness, I was wrong, the acceleration was rather pronounced, even more than I thought it was going to be. What am I talking about? Well the feeling of where did my insides just disappear to? It’s unbelievable. The car just went. Phew, I thought, thank goodness that part was over with, now we can just drive it and see what it is like, right? Umm, I was so wrong. My sidekick slowed down on the highway – there was no one behind him (unfortunately for me) – and then proceeded to count down from three to one before placing his foot firmly on the accelerator again. Okay, so enough now, seriously, I can withstand one major acceleration, two at a push but now that is enough. I mean 0 – 60 in 3.2 seconds – insane. 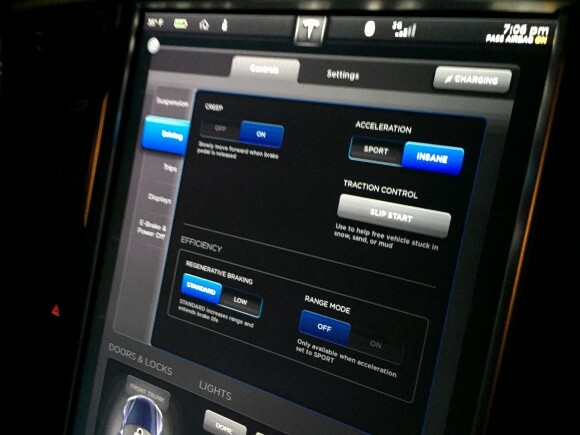 Oh, hang on a sec, I guess that’s why it says the car is in “Insane” mode… Really Tesla! This car is insanely fast. Anyway my insides and my head were just recovering, when sidekick went for acceleration number 3…. Noooooo! Please no more. But then, there was acceleration number 4, number 5 and even with me pleading that, that was enough, he launched into number 6 through an ‘S’ bend… before we finally pulled over to let our fellow Teslatarian, that was with us, drive next. I thought, please let him just drive but apparently he’d also like to test out the acceleration… twice more… I’m not sure I can keep my insides, inside anymore. Next up, everyone in the car suggested that I have a drive, perhaps to make me feel better about coming out or because my sidekick, spotting that I was going a little pale, knew that I’d feel better at the wheel. Umm okay, I thought, at least I will be in control. We all switched seats and I got into the drivers seat and was right back where I was last year when we had a two day loaner of a P85. This is the car for me. I have spent a year trying to tell myself why I don’t need or want one. 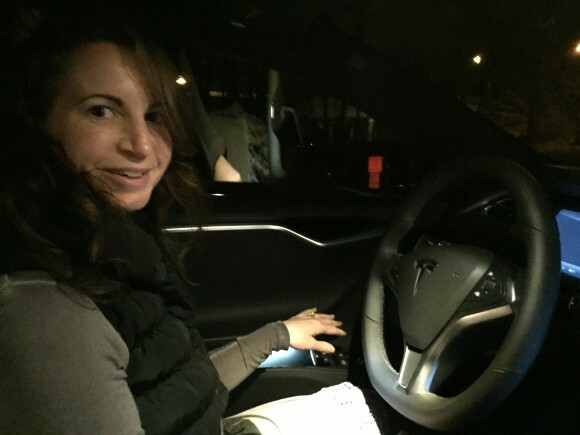 I think I had just got there but now, I am back to square one – I would really, really like a Tesla Model S.
Setting off in the Tesla Model S P85D was just wonderful, the car felt so solid and so glued to the road. No super acceleration for me, just driving it, the way I would on a daily basis. Enjoying all the car has to offer, until some silly idiot tried to pull into my lane without looking and without indicators either – Silly man! Then, another car pulled out from a side road in front of me and decided that 25 miles per hour is more than fast enough on a three-lane highway. So, a good sample of daily driving in New Jersey then! My sidekick, in the passenger seat was egging me on to pull out and overtake – do I have to? I can drive at 25mph too. But, with the insistence that I do, I indicated, checked my mirrors, and pulled out, accelerating gently but, even with my gentle acceleration I could feel what the car offered and what it could do. Safely round the slow moving car, I pulled back into the inside lane and continued driving. I love it, I love everything about the car… I guess I had better get back to work and start saving! 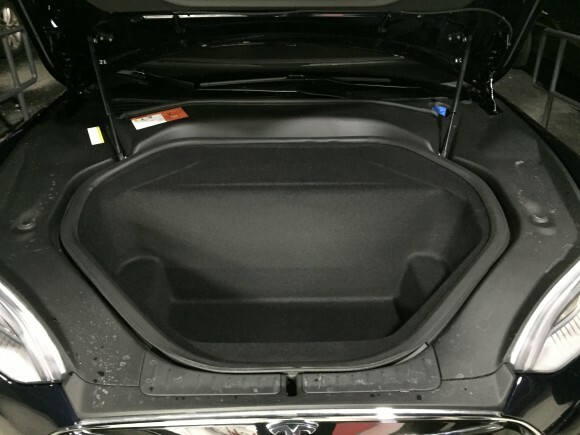 On our return to the Tesla Centre we reluctantly left the car, and took a quick peek at the front boot to see what space the second motor has taken up, it turns out that it’s not that much really and anyway the rear boot is huge enough! Back inside the Centre, I needed to sit down. Oh My Goodness, my insides were still churning and my head was fizzing. That was one too many accelerations for me. I have a delicate disposition at the best of times, I can’t go on roller coasters and even the flight landings at Newark airport make me decidedly ill (but only at Newark airport – weird right?). 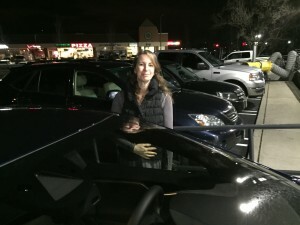 While my sidekick whizzed around talking to people about the P85D and other Teslatarians who had also been out that night in the car, I sat quietly waiting for the planet to stop spinning without me. I was wondering if there was any possibility, even a teeny tiny one, that I might be able to put a Tesla Model S P85D on my Christmas List this year. The car is absolutely amazing. I’m not sure if you have had the opportunity to drive one yet, but you would love it and it would make a great run around for you when you don’t want to get the reindeer out or they are just having an off day. It’s so quiet and smooth and with the 4 wheel drive option it would be excellent up there in the North Pole. 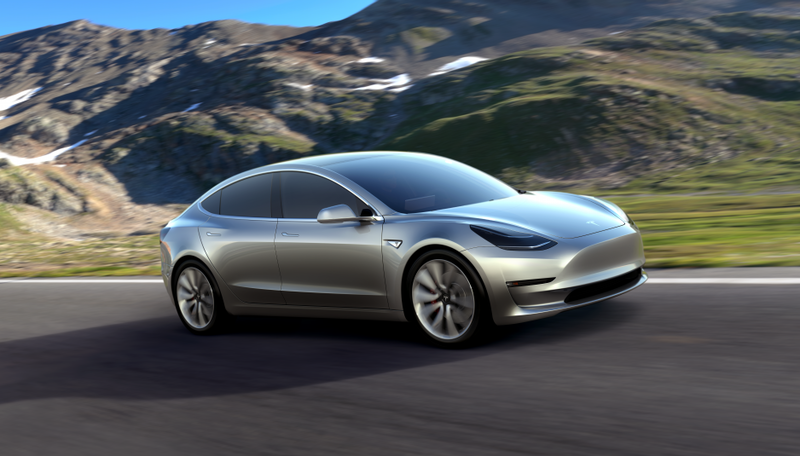 I love electric cars and this is the one car that I would love to have. Do let me know what you think…. Many thanks for all that you do to make dreams come true, you are one super amazing chap. What would be on your Christmas List?